Blitz recap: E.B.I. remain undefeated | ENTOURAGE BASKETBALL INC. Team E.B.I. follows up a sluggish first half with a flawless third quarter to defeat the scrappy but undersized Red Leon squad. The boys in green & black snagged 56 rebounds, half(!) of them on the offensive glass to keep the unbeaten streak active. ” We struggled in the first half with only 14 points on the scoreboard. My strategy of feeding the bigs and getting out of their way for the high-low plays worked. They did sag on JB and Tolga later, making entry passes difficult. Eyecatching players this game were Nourdin who had a double-double with 13 points and 13 rebounds (six missed FT’s prevented a better output) and sparkplug point guard, Chi (12 points). 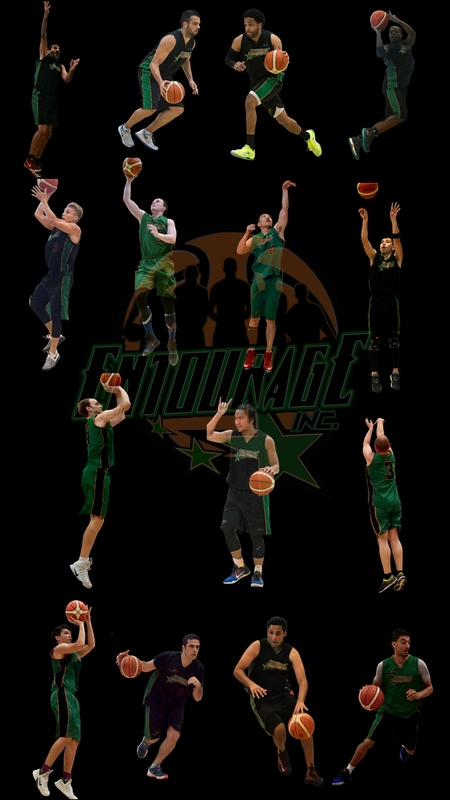 Entourage Basketball Inc. continues to struggle with turnovers and bad freethrow shooting, areas that can be improved upon as the team aims to maintain it’s position at the top of the rankings.